Dr. Nicole Forrester is an Assistant Professor in the Sport Media program in the RTA School of Media at FCAD. Dr. Forrester’s scholarship centres on the psychosocial factors associated with high performance in athletes and organizations. Dr. Forrester's is deeply involved in sports in Canada in various capacities. She is a board of directors member with Commonwealth Games Canada, the Americas athlete representative for the Commonwealth Games Federation, a board of directors member with the Canadian Sport Institute Ontario, and is an elected Olympic Supporter with the Canadian Olympic Committee (COC). Prior to this role she served as an elected Athletes' Commission member with the COC. Dr. Forrester is an Olympian and an eight-time Canadian Champion in the high jump, a multi-medallist at various major Games, and has has represented Canada on 20 national teams. 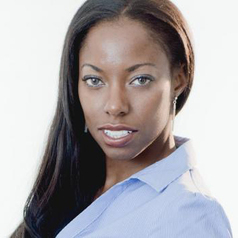 Dr. Forrester received her Ph.D. in Sport Psychology from Michigan State University, her Master of Education from the University of Texas in Exercise and Sport Psychology, and her Bachelors of Science and Art in Movement Science and Sport Management and Communication, respectively, from the University of Michigan. She is currently, completing an Executive MBA from the Smith School of Business at Queen's University. She is a licensed Kinesiologist and a registered member with the Canadian Sport Psychology Association. In addition to her academic pursuits, she is also a mental performance consultant.